What is Kidology Online Training? 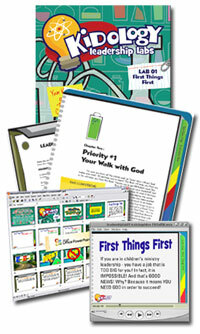 Kidology Online Training is your ticket to affordable, at home, kidmin training. Every children's ministry leader will benefit from these core courses in what it takes to successfully lead a Children's Ministry. While there are several training videos, Kidology Online Training features Five Leadership Labs which will lay a foundation for leaders that they can build a solid ministry upon. These courses are supplemented by downloadable resources and other multimedia elements to compliment each study. These sessions are designed for the intentional children's ministry leader who would like to be equipped to take their ministry to the next level of excellence. Kidology Online Training offers practical Leadership Labs on catching and casting vision, developing a kid-focused ministry, recruiting and partnering with parents, tools for evaluating and planning, keys to improving relationships, lesson and event planning, making sure the Gospel is central in your efforts and marketing your ministry to kids, parents and the community. Kidology Leadership Labs are designed to equip and encourage you with a topical approach to the issues you need to address as a leader in children's ministry. Many children's ministry leaders come into leadership through the "back door." They were recruited by the pastor, they saw the need and stepped up, or are a parent who found themselves promoted beyond their abilities or training. Kidology Online Training is your SOLUTION. While formal training in a bible college is ideal, it simply isn't possible for most leaders today due to time, families, cost or distance. But by going through these Leadership Labs, you will gain solid training and confidence for leading a children's ministry with excellence! The training videos are FREE for Premium Members, but don't miss out on the full benefit of the Leadership Labs, they are PACKED with training, insights, tips, and advice that you will find invaluable. They even equip you to train others! Begin to build your copy of The Kidology Handbook - Leader's Edition in any order, at your own pace, choosing the topics that meet your current needs. The foundational Leadership Lab that looks at why the most important aspects of ministry have nothing to do with ministry. Put first things first and you will not just survive in children's ministry, you will thrive. What does it mean to have vision? How can a clear vision for ministry increase your effectiveness? How do you get your volunteer team working together toward a God-focused vision? Let's take a serious look at the foundation of your children's ministry. At a time when creating a "fun ministry" has almost become the ultimate pursuit, its time to analyze where your focus should be. If the very thought of 'family ministry' and 'partnering with parents' stirs up feelings of failure and discouragement, maybe it's time to change the way you think about ministering to kids and parents! Are you exhausted? Stress robbing you of the joy of service? Let's learn how to evaluate your children's ministry, while also looking at keeping your life organized. Special: Order all 5 Leadership Labs and save! 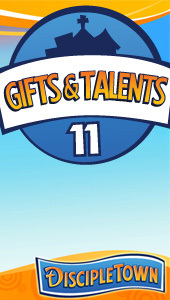 Kidology offers the best Kidmin Coaching in the industry. While there are many helpful programs available, Kidology offers professionally trained coaches who use a unique approach that balances intuitive coaching with expert advice and a solid leadership curricululm so that our students get not only what they are currently needing, but what will sustain them for the long haul. Learn more.